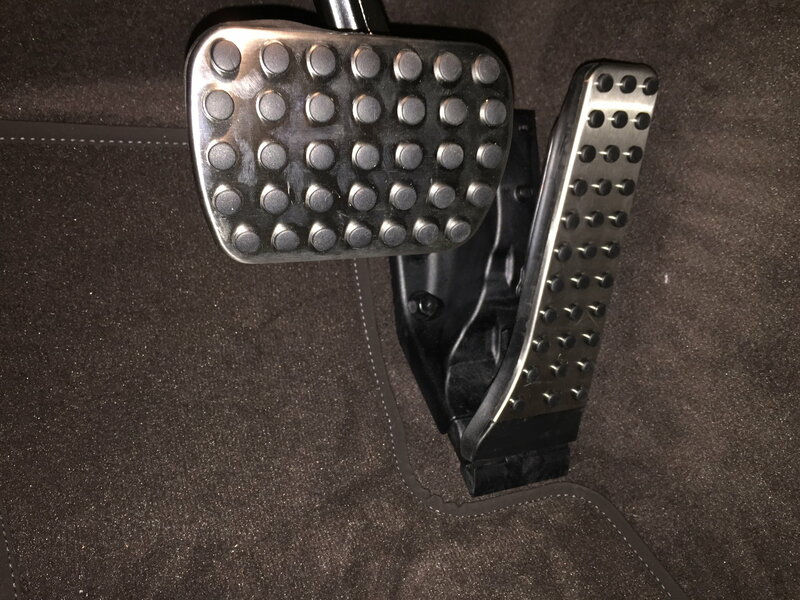 The Sport aluminum brake and accelerator pedals just look so much better in my E450 Cabriolet than the black pedals in my Wagon, gonna check with the dealer this week on ordering sport pedals and changing them out unless anyone here wants to trade . I'll let you all know the price on the pedals and the labor to change them out. I'm looking forward to hear and see how these work for you. I agree the sport pedals look great. Looking forward to the pics after installation. I was pleased to have them in my glk but did find them a pain to clean. Mud was much harder to get off as it was encrusted between the black raised plastic "buttons". Pedals are on, simple install. Put a little olive oil on the rubber part of them to slip them on more easily. Just remove the rubber brake pedal (peeled right off no tools) and position the new one and slide it on. The gas pedal cover simply goes right over the stock pedal. 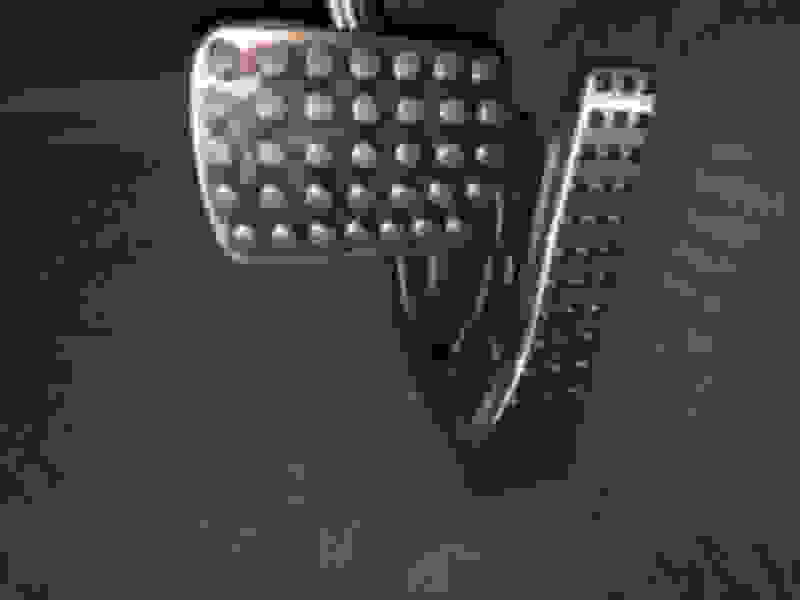 They look exactly like the real sport pedals was comparing them to the ones in my Cabriolet and they look identical. Good to hear. But you know your post is useless without photos. Looks GREAT. I might have to do the same with my car! Those do look nice, well done. 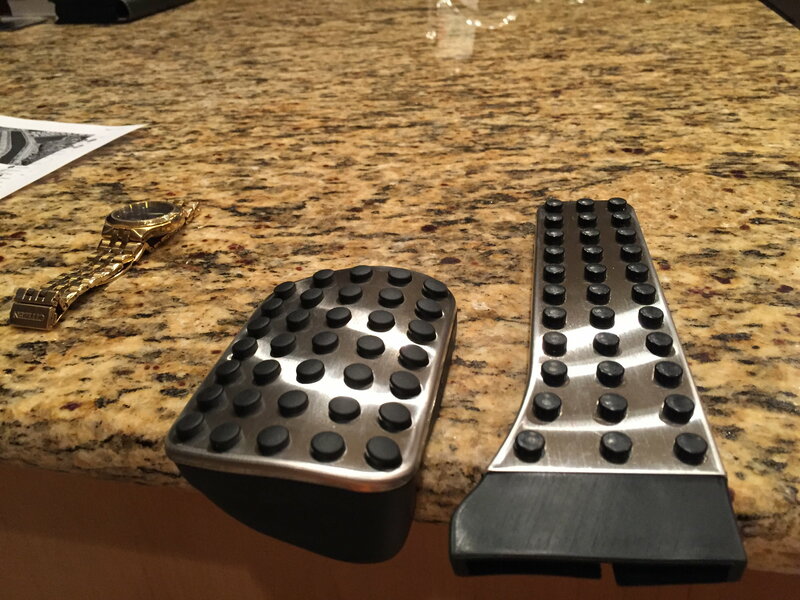 Thanks for the Amazon suggestion Rod, for $13.00 you can't go wrong with these Pedal covers, they look great, just like originals. I'm glad you're happy with them!!! No reason not to. They look good. Easy to install. Good tip to lightly lube the rubber to aid installation. Last edited by Cao Black; 11-25-2018 at 09:14 AM. That photo looks great. My only holdup is that the accelerator pedal pushes back an extra 1cm and I already use up too much of the passenger space behind me. Oh well. Those of us who are not altitudenally challenged can enjoy them. Alternatively, there are OEM replacements. Pricey though. I know, I'm beyond envious. I wonder if I should just change the brake pedal. They look really good!